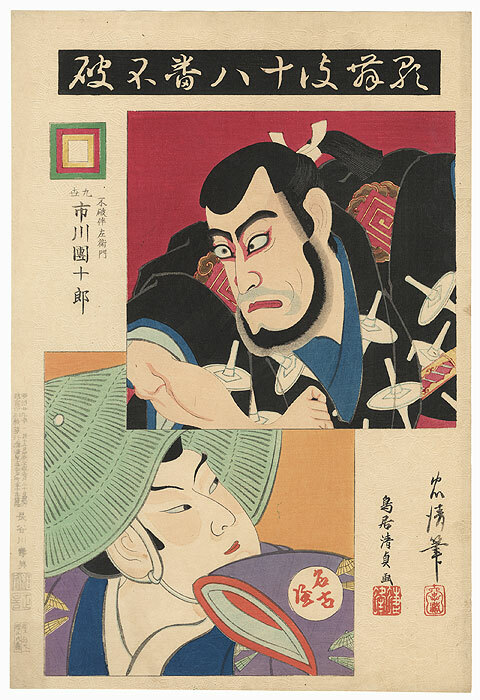 Kabuki: The Eighteen Plays - Beautiful print from Torii Kiyotada's most famous work, "Kabuki: The Eighteen Plays," published around 1895 - 1896. This fantastic series depicts famous roles from eighteen plays showcasing the Danjuro Ichikawa line of actors. 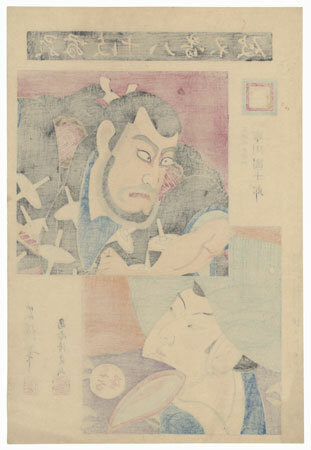 Working under the artist's name of Tadakiyo, Kiyotada designed the Danjuro roles, and his father, Torii Kiyosada, drew the secondary figures. These dramatic images are beautifully printed with lively color and an allover embossed pattern in the white background. Many feature touches of burnishing or additional embossed details. 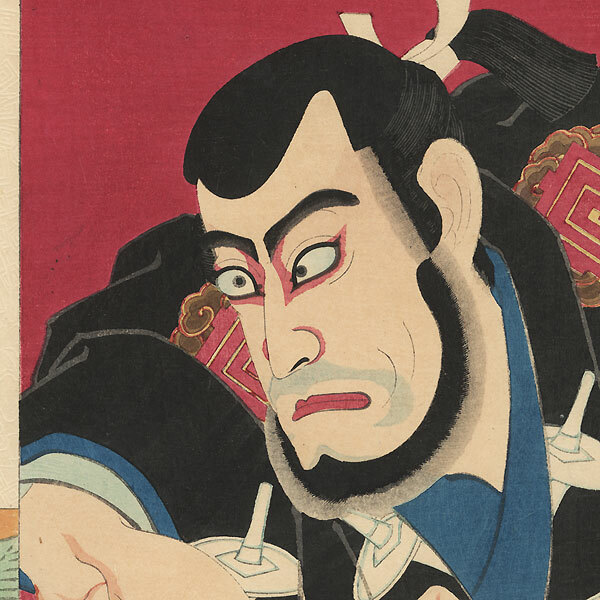 The bold portraits and striking costumes make these prints graphic masterworks in field of Japanese woodblocks. Condition - This print with excellent color and detail as shown. Slight toning and soiling, a few spots, small stain. Please see photos for details. Good overall.